Why don’t languages just stay the same? Why does each generation of speakers introduce changes even though a steady state would seem to have served the communicative goals of a language adequately? These are questions to which answers are to be found by considering language as a semeiotic, a system of signs. “[U]nderlying all other laws is the only tendency which can grow by its own virtue, the tendency of all things to take habits…. In so far as evolution follows a law, the law or habit, instead of being a movement from homogeneity to heterogeneity, is growth from difformity to uniformity. But the chance divergences from laws are perpetually acting to increase the variety of the world, and are checked by a sort of natural selection and otherwise…, so that the general result may be described as ‘organized heterogeneity,’ or, better, rationalized variety” (Charles S. Peirce, Collected Papers 6.101; emphasis added). Present possibilities with greater or lesser powers of actualization exist at any given historical stage of a language. Innovations that come to be full-fledged social facts, i. e., changes, must have something about their form that enables them to survive. The aggregate of such innovations-become-changes is what constitutes the drift of a language. Beyond such broad generalizations, what is needed in order to understand individual linguistic changes is the principle whereby drift is further defined as what might be called “the triumph of the iconic.” In other words, the trajectory of change, in the long run, follows an arc leading toward iconicity, which is the alignment between form and meaning. In the working out of this trajectory, the form-meaning alignment is regularly aided by a real tendency of change from the marked to the unmarked member of the linguistic units and categories involved. Here is an example from contemporary American English. For some time now, the adjective fewer in the colloquial variety of speech has been replaced by less, so that the normative (and more conservative) “fewer people” comes out as “less people,” etc. The norm requires fewer whenever the noun quantified is a so-called count noun, and less when it is a so-called mass noun. The directionality of the replacement of fewer by less even when the noun modified is a mass noun is clear in one distinct respect: the shorter of the two adjectives is winning out in the drift of the language over the longer one. The semiotic upshot of this drift is equally clear: the meaning of lesser number is better fitted to the form that is shorter, i. e., to less rather than to fewer, since the latter is one syllable longer than the former. Here we have the establishment over time of the iconic principle, understood in this case as the triumph of uniformity over variety. Markedness also plays a role in this development collaterally. The marked is defined as the conceptually more restricted than the unmarked, a principle that can take several hypostases. Here the adjective fewer, applying as it does normatively to count nouns, is the marked member because individuation (as in counting) is marked vis-à-vis non-individuation (as in sets or groups). The drift away from fewer toward less is thus an instantiation of the semiotic principle that dictates the change from marked to unmarked in the long run. One accelerated development of the advent of the digital age as far as language is concerned is the diminishing role of orality in the transmission of linguistic norms. This was observed the other day when a young woman writer (no doubt, a member of the so-called “millennial generation”) was being interviewed on NPR about an article she had written for the National Geographic concerning the situation in present-day Syria. In describing life in Damascus, she mispronounced the words Damascene (adjective < Damascus) and sepia, rendering the penultimate consonant (for the second sound of the digraph –sc-) of the first word as [k] instead of the correct [s], and the initial stressed vowel of the second word as [e] instead of [i]. This sort of error arises because the speaker has obviously never been exposed to the words’ correct pronunciation. There are simply no oral milieux in which a youngish speaker of American English––doubtless, college-educated withal––can hear words such as the two at issue pronounced correctly. Knowledge of such vocabulary items now tends to come about solely from an acquaintance with them in written form, where the ambiguity of their orthographic representation gives rise to a phonetic choice that is exercised without benefit of an oral precedent from an authoritative source––hence incorrectly, as often as not. All languages make use of formulaic utterances as a matter of convenience. Expressions of thanks are perhaps the most common such formulas along with greetings and leave-takings. One recent innovation in American English along these lines is the set phrase, “Thanks for asking,” especially among service personnel, in response to a client’s asking them (typically, over the phone) how they are. A week ago Y-H-B was sitting in his cardiologist’s examining room waiting for the doctor to enter, which happened in due course. Having been asked how his children were by his patient, the cardiologist said “Fine. Thanks for asking.” Under the circumstances, the use of this formula struck one as remarkable, perhaps against the backdrop of its having been heard almost exclusively as emanating during telephonic opening exchanges with service personnel. In hindsight, what was remarkable was the impression of insincerity created by the formula. But this is the risk attendant on all linguistic formulae. 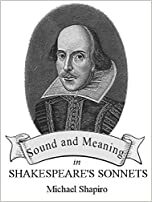 Speakers sensitive to creating the impression of perfunctoriness can either avoid them altogether; or utilize such linguistic means whereby even the most fatigued expressions can be artfully varied as a warrant of one’s sincerity. English from time immemorial has exploited the poetic allure of paronomasia in its treasury of proverbs, especially that of alliteration (“In for a penny, in for a pound.”) and rhyme (“A stitch in time saves nine.”). No matter how banal the thought expressed in these longest of idioms, the orchestration of their language gives them a punch they would otherwise lack. Early this morning, Y-H-B was sitting in a diner over his Sunday pancakes as usual and espied the same couple he had seen there before, the elderly man with his unkempt hair, hollowed-out face, and ill-fitting clothing, his only slightly younger companion also unfashionably dressed and uncomely, with her sawed-off hairdo and unfeminine proboscis. The two were talking animatedly and in an obviously affectionate manner. The thought, given body linguistically, that came to mind, for all the pair’s unloveliness, was: “For every Jack there’s a Jill.” This hoary proverb not only encapsulated the scene but gave the characters inhabiting it a certain dignity they otherwise lacked. It was like the fizz that invariably accompanies champagne, no matter how quotidian the vintage.